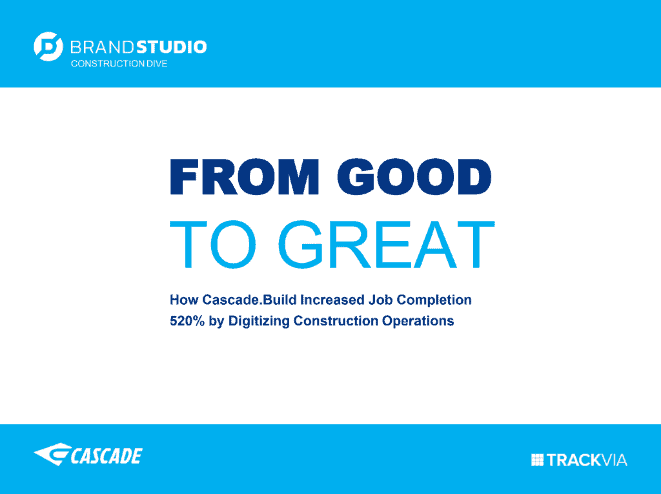 This webinar, designed to build awareness and generate leads, shared the real-life experiences of a exterior contractor who experienced tremendous growth over the course of five years: from 193 jobs in 2013 to a projected 1,200 jobs in 2018 (520% growth rate) – and he attributes it to selecting TrackVia as his construction project management solution. This powerful success story illustrated to viewers that growth can be achieved when technology is utilized. The webinar was broken down into five areas where contractors often experience bottlenecks to growth. The contractor shared his experience and how he overcame each particular challenge, and TrackVia provided detail to illustrate how the technology worked for the contractor’s case. During the final portion of the webinar, the contractor noted his next set of goals and how he will utilize TrackVia’s solution to ensure that he’s able to continue to grow his business. This project included background research, interviewing internal TrackVia team members and the TrackVia client, and also moderating the webinar.